A root vegetable with a crisp peppery flavour, radishes can add both flavour and aesthetic appeal to many a dish. The most commonly consumed is the small round red variety, although there are many other shapes, colours and sizes to be found. 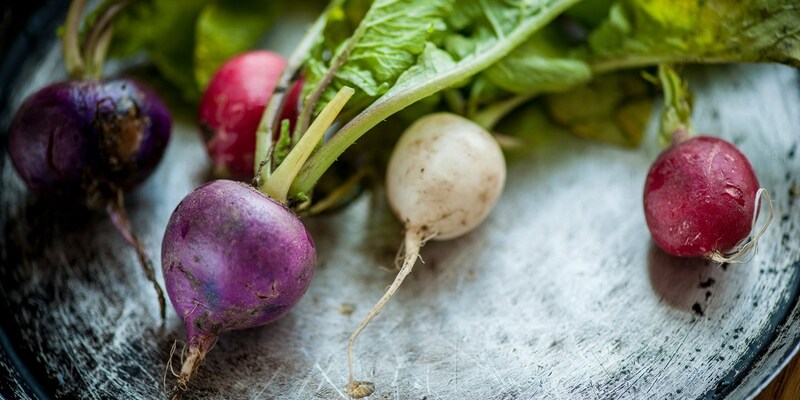 Find some beautiful recipes using radishes in this collection, including Simon Rogan's hake fillet with golden beet and radish salad, Adam Gray's seared salmon with apple and radish salad and Colin McGurran's baked bream recipe.